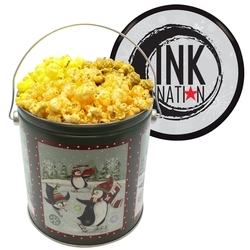 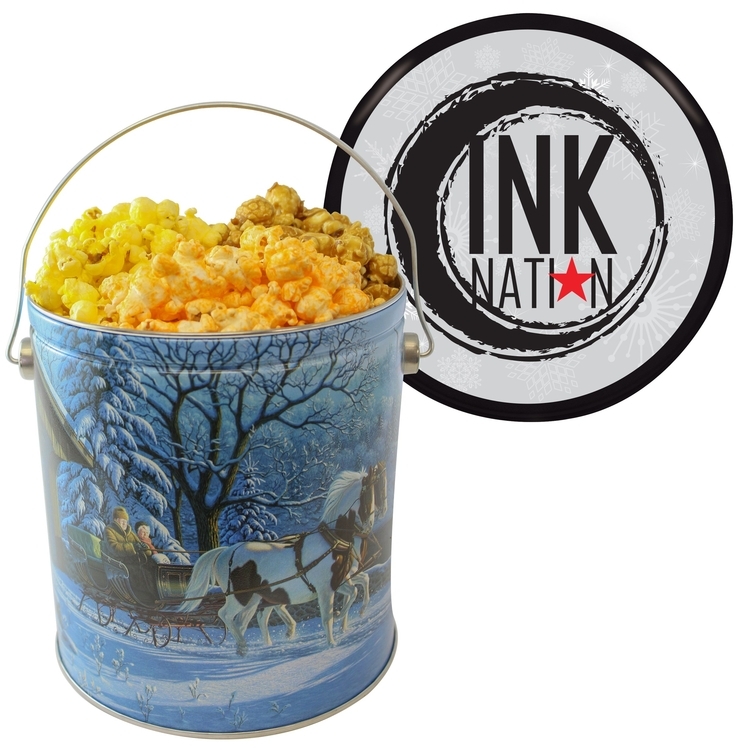 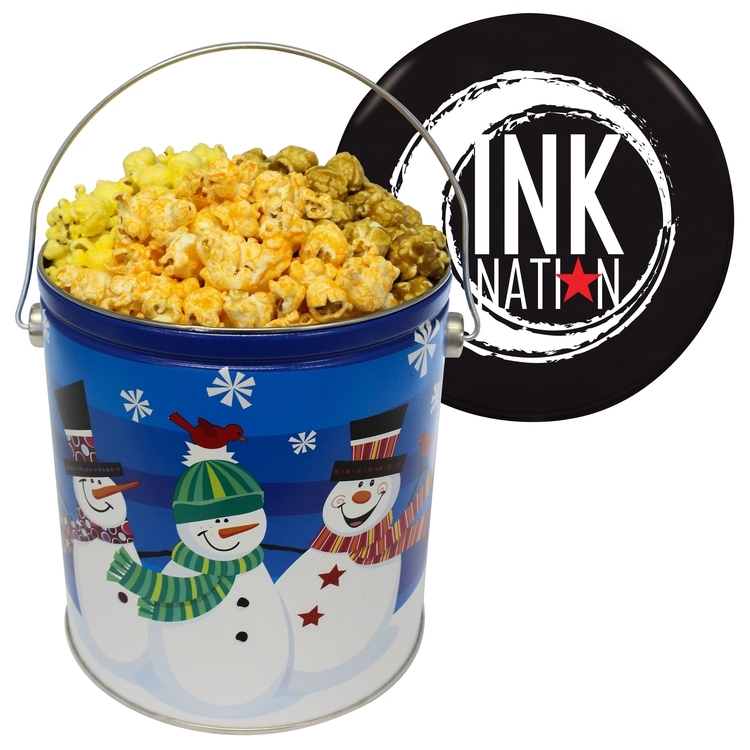 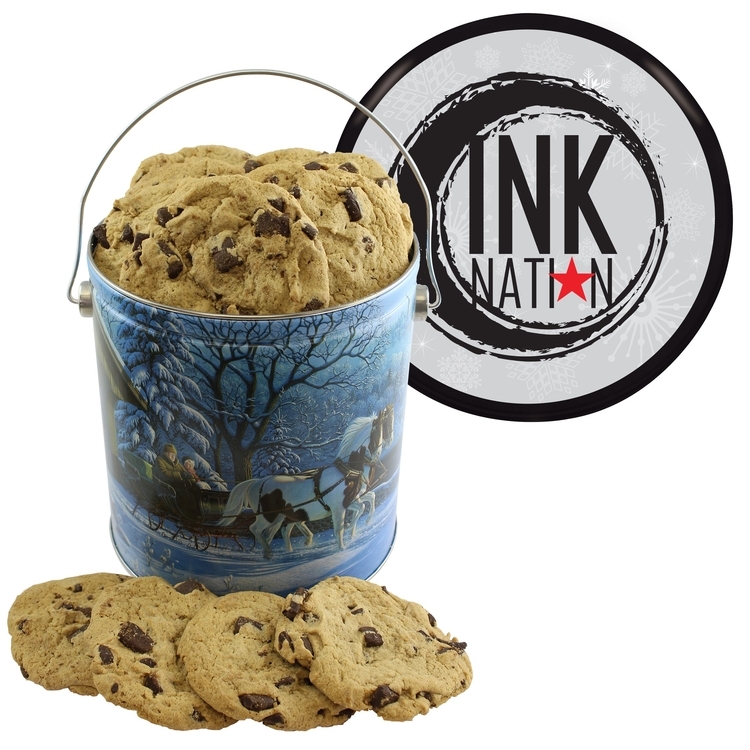 The One Gallon Tin (with handle) can be filled with fresh popcorn in three exceptional flavors: caramel, butter, and cheese or chocolate chip cookies. 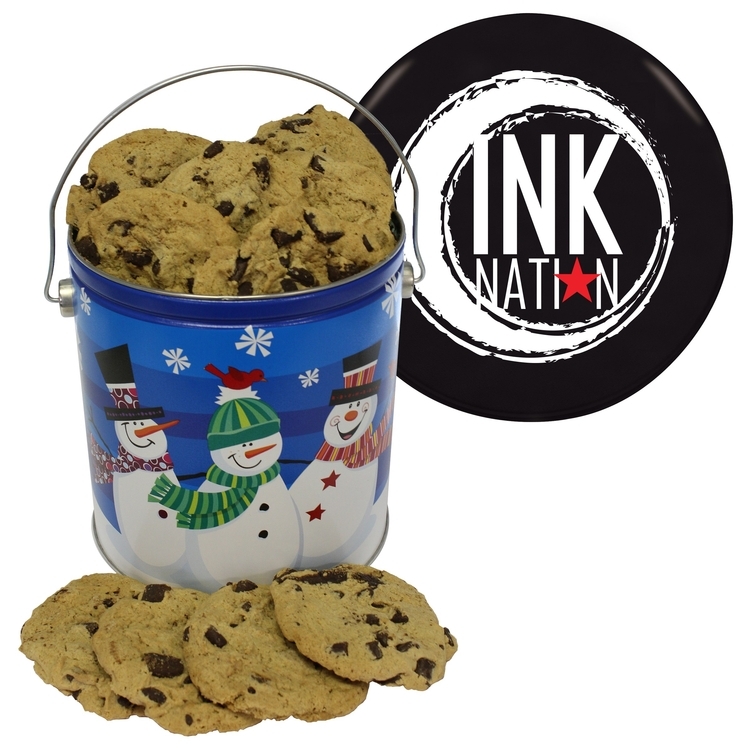 Decorate using a 1-color direct imprint on the lid or a customizable greeting card (four color printed). 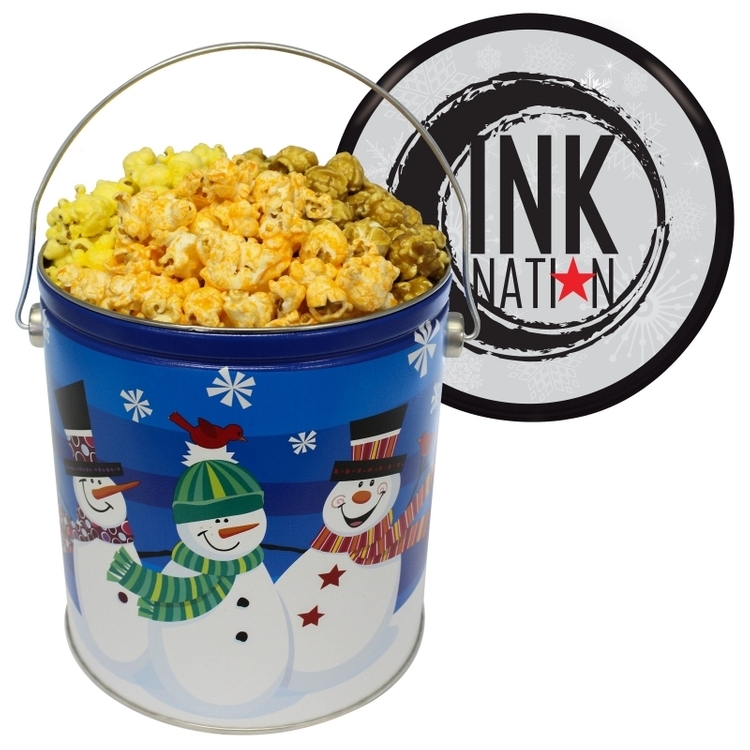 There are four tin designs to choose from: Penguins, Whimsical Snowmen, Winter Sleigh Ride, and Beautiful Ornaments. 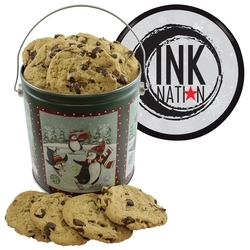 Great food gift idea for the holiday. 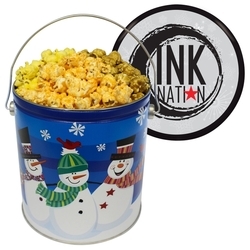 Please see product options for fill pricing.